The School of Architecture and the Built Environment (SABE), was established in December 2008 to offer cutting edge professional and academic training in line with the College’s motto of ‘Education and Training for the Real World’. The school’s mission is: “to be a centre of excellence in learning, creativity and enterprise, promoting economics, social and cultural well being in the built environment”. Dealing mainly with concrete issues, SABE is the space where imagination of future urban and rural places is being constructed and concretized. It is the space where future professionals working on infrastructure, development and the environment are being prepared. The school is home to some 2 000 students in six departments, which offer professional degrees, degrees of technology, diplomas and certificates, making it one of the biggest built environment schools in Kenya. Led by top intellectuals and professionals, the school runs ‘professional plus programmes’ that focus on building individuals with intellectual (knowledge); professional (discretionary) and technical (application) competencies. Further, students go through annual industry based learning; making them hands on professionals. The School is headed by Associate Dean, Arch. Prof. Alfred Omenya (PhD) and Assistant Dean Joseph Mbugua. The Department of Real Estate and Property Management offers two degree programmes in Real Estate and in Property Management. It also offers diplomas in the same areas. The Department is headed by Mr. Edmund Muthigani. Department of Building Science and Technology, headed by Mr. Omukaga Panyako, is the only University Department in the Country offering Degrees in Technology (B.Tech) in Building Construction and Technology. The Department also offers diplomas in Building Construction and Technology. The Department of Construction Economics and Management, is headed by QS, Dr.Ahmed Alkizim (PhD). It offers Bachelor Degrees in Quantity Survey and Construction Management. It also offers Diplomas in the same areas. In response to a huge demand of professionals with expertise in land and infrastructure, particularly in light of the Vision 2030 flagship projects, the School of Architecture and Building Science established the Department of Land and Infrastructure Management currently headed by Mr. Erastus Njeru. The Department currently offers a degree in Land Administration; but will in future offer degrees in infrastructure planning, development and management. 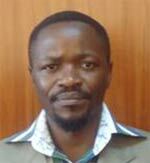 Department of Urban and Regional Planning, is headed by Planner, Dr. Lawrence Esho (PhD). The Department offers two-degree programmes in Urban and Regional Planning and in Urban Design. and can be taken on full-time or part time basis.